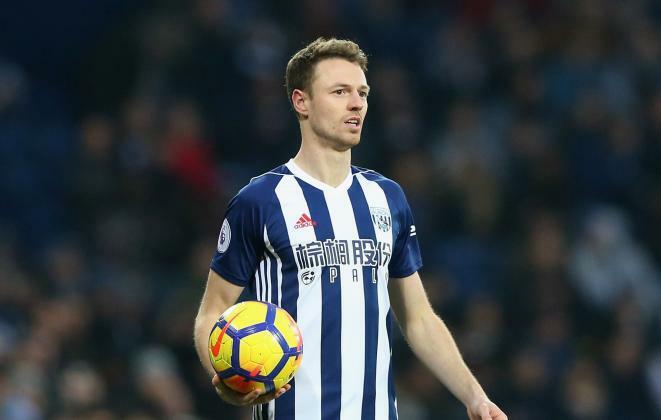 Arsenal have reportedly make an enquiry for the services of West Brom defender Johnny Evans ahead of a potential move to the Emirates this winter transfer window. The Gunners were heavily linked with a move for the former Manchester United defender last summer, but a move failed to materialize with the north-London club refusing to submit a bid for the centre-back. Arsene Wenger is concerned at the alarming rates at which his side concede goals and he is keen on fixing his leaky defence by bolstering his defence options with the services of the experienced defender. Although, the Gunners are believed to be leading the race to sign him, he could be the subject of a four-way transfer battle with Leicester, Manchester City and Everton also weighing up a move for the 30-year-old in the winter transfer window. It is believed the Albion chief have started making enquiries for a replacement for Evans as they hope to use the money gained from his departure to bring in atleast one or two players as they battle to stay in the Premier League. The Gunners centre-back pairing having been majorly beset by injuries so far this term and the partnership of Laurent Koscielny and Shkodran Mustafi has failed to inspire confidence as the north-London side have conceded the most goals by any team in the top six. Having failed to nai down a starting berth under Louis Van Gaal at Manchester United, the Northern Ireland defender has established himself as a mainstay in the Baggies defence and has grown into of the best centre-backs in the Premier League since moving to West Brom in the summer of 2015 for an undisclosed fee. Johnny Evans is a ball-playing defender and he is known for his concentration, awareness, aerial prowess, tackling, ability to read the game well, leadership qualities and also making key interceptions. Given his quality and wealth of experience in the Premier League, he would bring calmness and stability into the Gunners leaky defence.